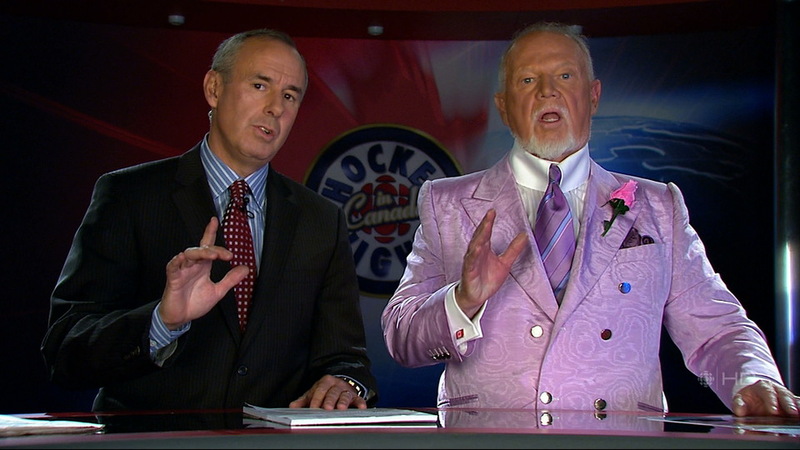 During tonight’s Coach’s Corner, Don Cherry complained to Ron MacLean that the tie currently being hawked by the NHL and the Toronto Maple Leafs for their Pink Ribbon Night is lavender, not pink, and that consequently the outrageously pink ensemble Grapes was wearing didn’t match. Like that’s his biggest concern. 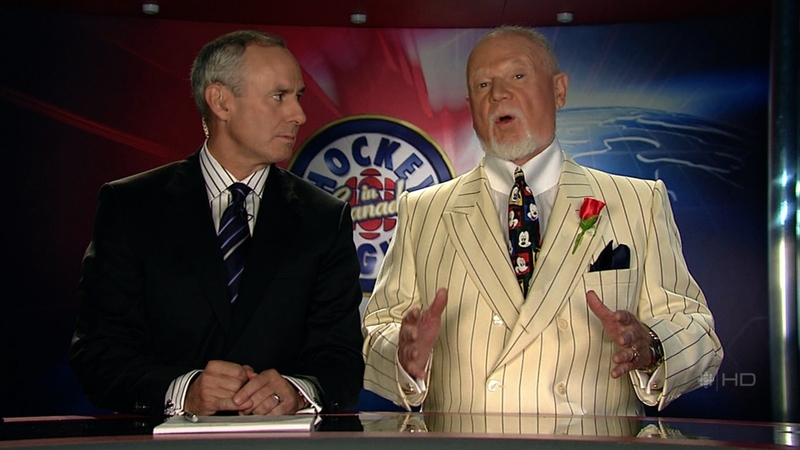 You may recall that this suit was previously featured on the Don Cherry Suit Watch. But I had to put it up here again because—well, how could I not? 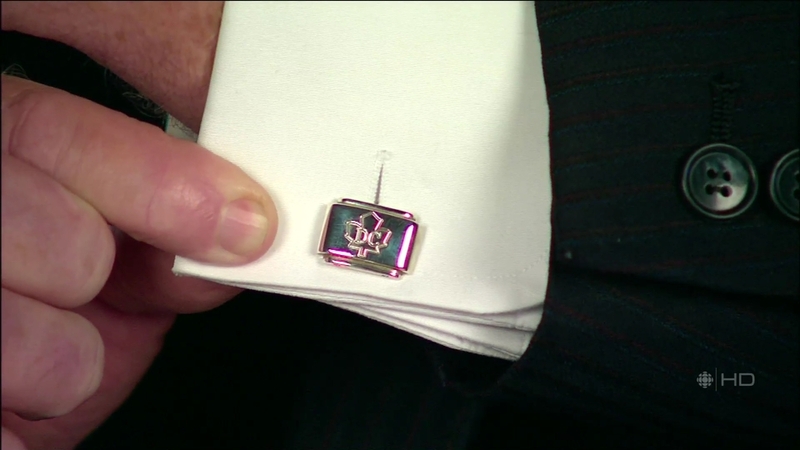 Mickey Mouse, you will recall, played junior hockey in the Ontario Hockey League, where he scored forty goals in his last season before he was kicked out because the mandatory helmet rule meant that every game his ears were getting squished. 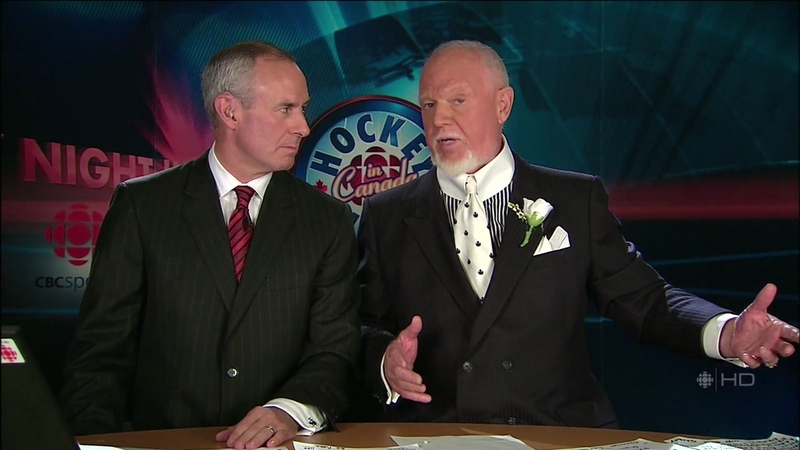 The hockey season started in earnest last week and over the weekend, and what would a hockey season be without Don Cherry strutting some more of his immaculately tailored stuff? Ah, it’s good to be back. 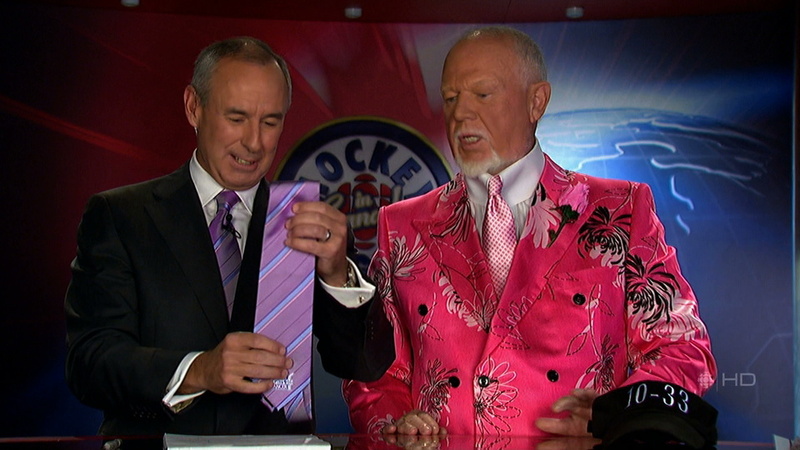 Stay tuned for more episodes of the Don Cherry Suit Watch from the new hockey season. 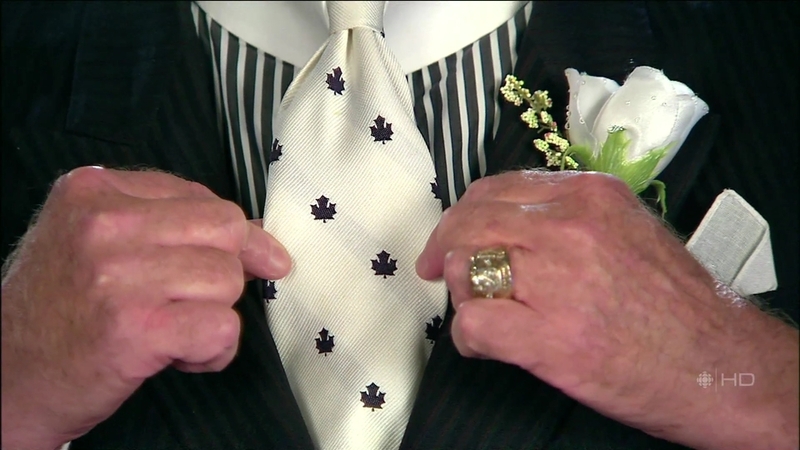 This year we’ll be posting when Don’s suits are both interesting and not repeats, but have no fear—I’m sure Grapes won’t disappoint. After all, he rarely does. Except where otherwise noted, this blog is licenced under a Creative Commons Attribution-ShareAlike 3.0 licence. Screen captures are presumed to be fair dealing for copyright purposes and are not covered by this licence. Sauf en cas d'indication contraire, ce blog est protégé par une licence Creative Commons Paternité-Partage des Conditions Initiales à l'Identique 3,0. Il est présumé que des captures d'écran sont considérés comme utilisation équitable en vertu du droit d'auteur, et ne sont pas couverts par cette licence.